In our Hermitage shop located next to reception desk you can find true masterworks in miniature: statues of the inimitable masters such as “The crouching boy” by Michelangelo, “The Age of Bronze” by Auguste Rodin, “Seated cupid” by Étienne Falconet made of artificial marble. The replicas from the Hermitage collection of famous bronze statues such as “Spring” by Peter Broyer , “The Kiss” by Ferdinand Lepcke, “Venus with Golden Girdle by Prosper d’Epinay.,”Panther Sneaking up to a Prey” by Van der Kemp, which were used by the representatives of high society for the decoration of their houses. 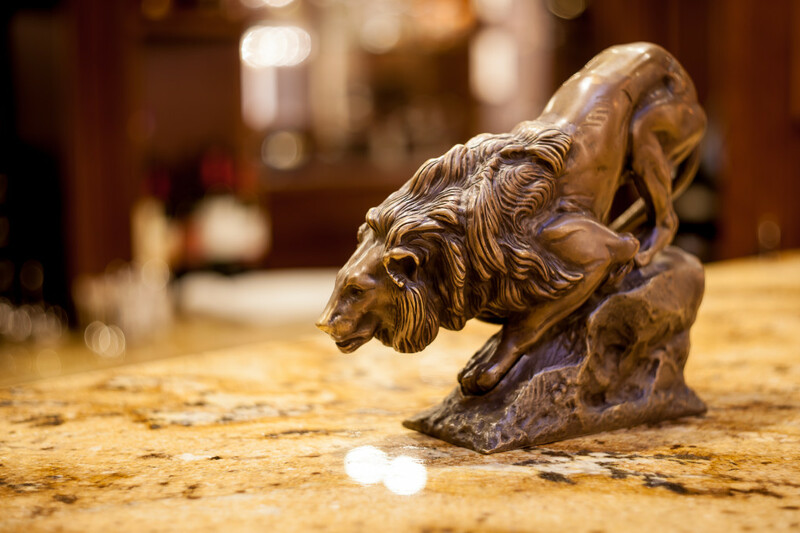 Create the atmosphere of true luxury in accordance with the traditions of Russian nobility. Apart from the decorative items for your home our shop offers you a big variety of silver brooches, brooches made of Jeweller’s alloy and Swarovsky crystals based on the Hermitage State Museum originals. Among the most famous you’ll find a replica of “Anchor” brooch, which was brought by Peter the Great from Holland – its exquisite and uncluttered style was typical of the epoch of Peter the Great. Enlarge your jewelry collection with unique brooches and medallions.